Michael Schumacher’s family is at his bedside as the German motor-racing champion fights for life following a skiing accident in the French Alps. His manager, Sabine Kehm, said his wife, Corinna, daughter Gina Maria and son Mick are in a state of shock at the Grenoble hospital. The seven-time Formula 1 champion suffered head injuries on Sunday in a fall at the resort of Meribel. Michael Schumacher has been put in a medically-induced coma to relieve pressure on his brain. “The family is not doing very well, obviously. They are shocked,” Sabine Kehm told reporters. Prof. Jean-Francois Payen, of Grenoble University Hospital’s intensive care unit, told a news conference that they could not give a prognosis for the 44-year-old driver. “He is in a critical state in terms of cerebral resuscitation. We are working hour by hour,” he said. Prof. Jean-Francois Payen said that if MichaelSchumacher had not been wearing a helmet “he wouldn’t be here now”. “We had to operate urgently to release some pressure in his head,” the anaesthetist said. Neurosurgeon Stephan Chabardes said that a post-operative scan had shown “diffuse haemorrhagic lesions” on both sides of Michael Schumacher’s brain. Michael Schumacher is likely to stay in an induced coma for at least 48 hours, or even several weeks – and there can be many months of therapy in order to achieve as full a recovery as possible. Doctors have lowered Michael Schumacher’s body temperature to 34-35C (93.2-95F) as part of the coma, slowing his metabolism to help reduce inflammation. The driver had been skiing off-piste with his teenage son when he fell and hit his head on a rock. 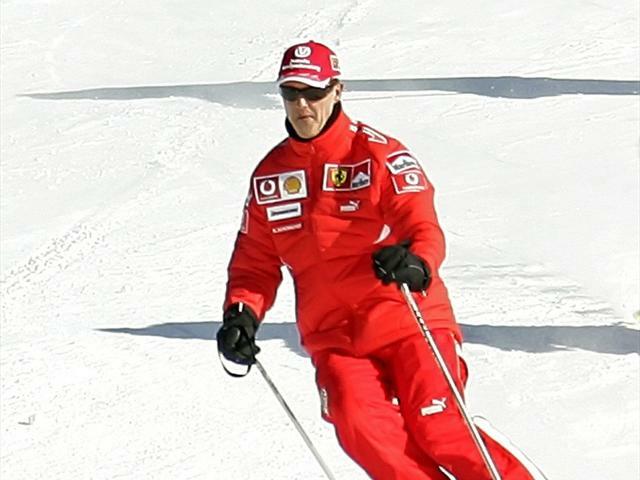 Michael Schumacher was first evacuated to a hospital in the nearby town of Moutiers. Prof. Stephan Chabardes said Michael Schumacher was in an “agitated condition” on arrival in Moutiers and his neurological condition “deteriorated rapidly”. He was taken from Moutiers to the larger facility in Grenoble. Messages of support have come from around the world. A spokesman for German Chancellor Angela Merkel said she and her government were, like millions of Germans, “extremely shocked”. “We hope, with Michael Schumacher and with his family, that he can overcome and recover from his injuries,” the spokesman said. On Monday some fans had gathered outside the hospital in Grenoble.